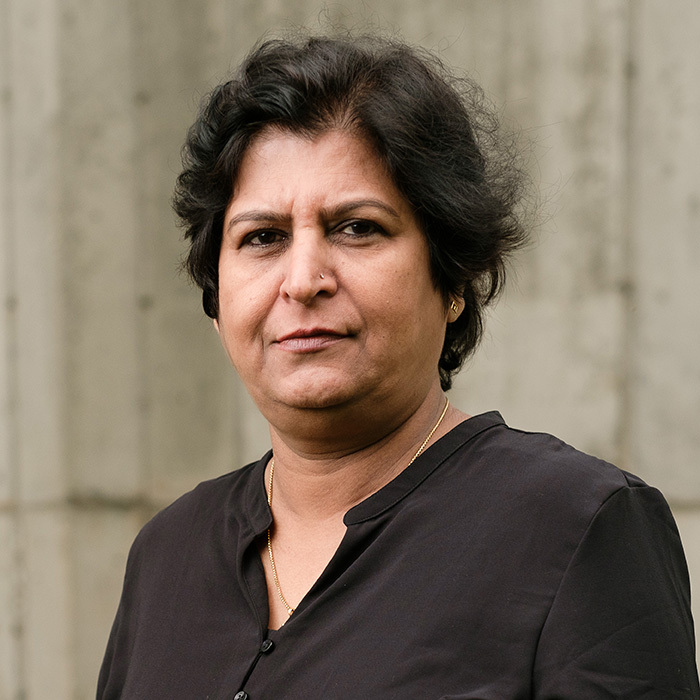 Madhuri Newale is the Monitoring, Evaluation and Learning consultant responsible for developing and supporting implementation of a robust monitoring and evaluation strategy for ISC’s EHS+ Center Program in India. She brings over 23 years of experience in project management, especially in planning and management of rural development programs in both the NGO and government sectors. Her responsibilities have included concept and strategy development, M&E systems designing, monitoring and evaluation, program management, trainings, institutional assessment and strategic planning. She has worked with a number of donor organizations, including the World Bank, GIZ, government agencies and consultancy organizations. Her deep multi-sectoral (NRM, water, irrigation, livelihoods and health) and multi-agency experience has given her a cross-sector understanding for facilitating reform initiatives. Prior to ISC, Madhuri worked as Advisor (M&E) at Ernst & Young LLP, developing Monitoring Evaluation & Learning System for AP Vision 2029, Government of Andhra Pradesh. Other key assignments include developing participatory M&E systems for sector reforms in minor irrigation in AP, baseline assessment for 24×7 water supply schemes in the state of Karnataka, impact assessment of Better Cotton Initiative (BCI) support program in India and documentation of best practices in social accountability and gender in rural water supply program. She has worked as Senior Consultant to national consultancy MART, and provided technical backup to research studies, guiding study teams, finalization of study tools, analysis of data as well as reporting and documentation. Madhuri holds a Master’s of Management Sciences from the University of Pune.